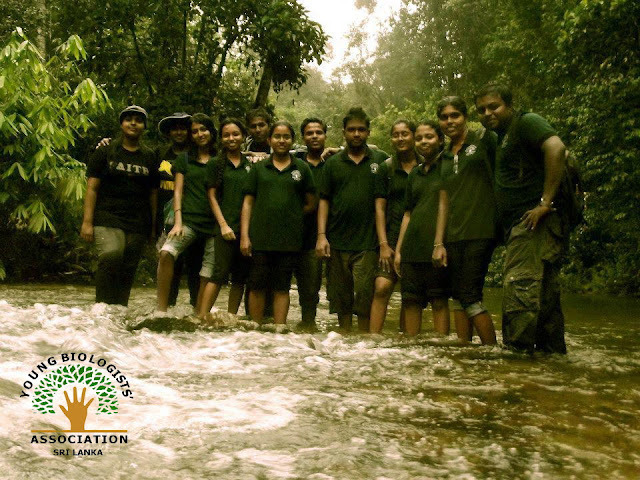 29th October 2012 was an interesting day for the YBA members as we went on another field trip. Though the weather conditions were not very good during those days, we thought of giving it a try. The trip started from Nugegoda junction at 6.45 am. 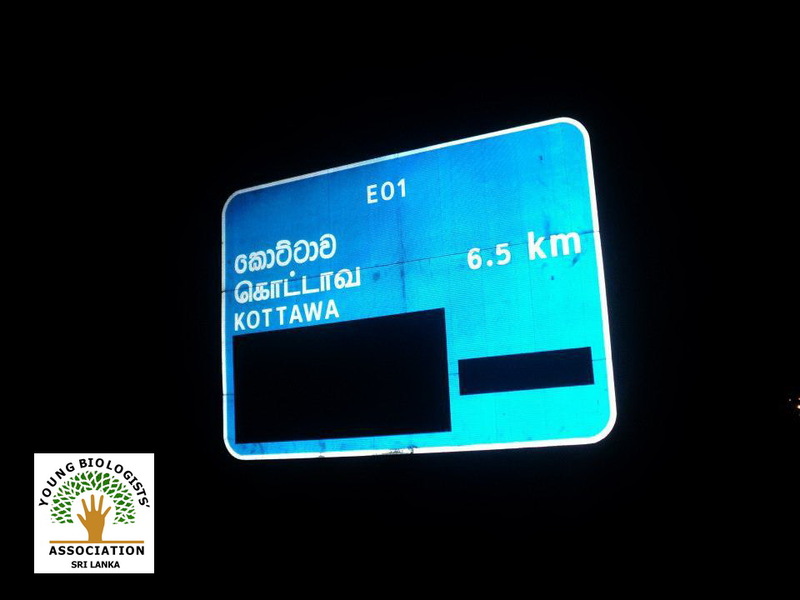 We went to Kottawa and entered the Southern highway and exited from Dodandoowa exit. Then we headed to Mathugama and followed the Mathugama-Kalawana road until we reach our destination, Athwalthota. It was around 9.00 am when we get there. We left the vehicle at the junction and followed the road that leads to "Ruseegala Aranya". The sky looked gloomy from the very beginning of our journey and the sun never smiled upon us for the whole day. Light rains were a frequent incident. Though the weather wasn't favorable that didn't changed the will of the 12 members who took part in the trip. We kept going and looked for anything interesting to observe. Even though the whole day was rainy, birds were seen regularly. We encountered several mixed-species flocks too. In the very first flock we encountered we could observe the endemic and elusive Sri Lanka Green-billed Coucal (Centropus chlororhynches). 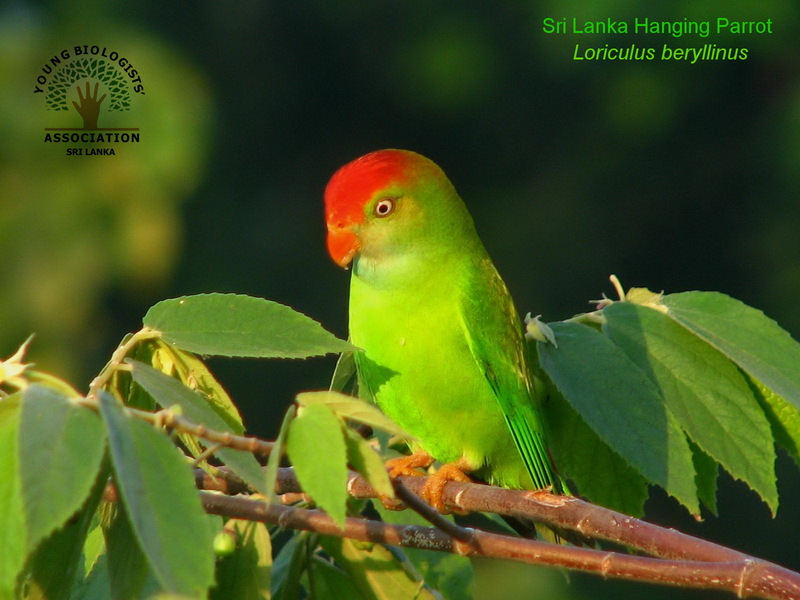 Several other endemics were observed in the same flock including Sri Lanka Crested Drongo and Sri Lanka Yellow-fronted Barbet (Megalaima flavifrons). Butterflies were a rare sight due to the unfavorable weather conditions. 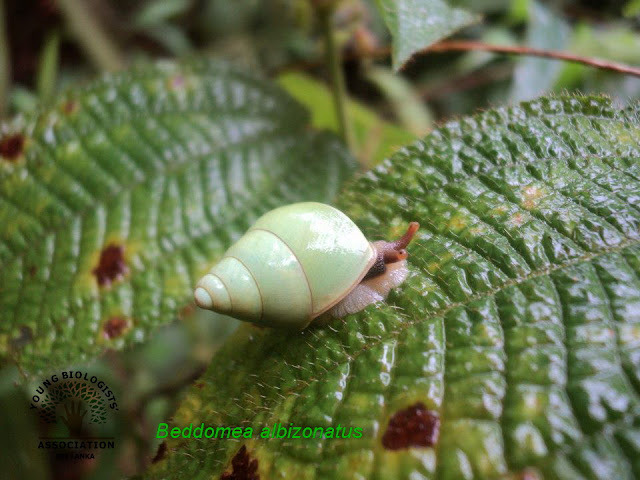 We could observe only 12 species of butterflies though we found the endemic Ceylon Cerulean (Jamides coruscans) twice. Dragonflies were also not seen regularly. We found only 4 species for the whole day. After a long journey passing the village, we entered the forest at about 1.00 pm. Though we didn't spot many interesting observation even there due to the rain, we had a nice time there. We had our lunch next to a beautiful stream and started heading back. Even though we didn't saw many birds inside the forest, we could hear the calls of endemics such as Sri Lanka Magpie (Urocissa ornata), Sri Lanka Scimitar Babbler (Pomatorhinus melanurus), Sri Lanka Spot-winged Thrush (Zoothera spiloptera) and Sri Lanka Chestnut-backed Owlet (Otus bakkamoena). Apart from them We observed Sri Lanka White-throated Flowerpecker (Dicaeum erythrorhynchos) too. There was a long way to walk to reach our vehicle, thus it was already dark when we reached it. We left Athwalthota at about 6.30 pm and started heading back. Though the time we spent at the field was over, our day was not. The vehicle we traveled broke down when we were in the highway just 6.5 km from the Kottawa exit giving us a whole new experience. We had to wait 1/2 an hour there until the highway service team came and try to repair the vehicle. But as they couldn't repair it the towing vehicle was called and our vehicle was towed to the Kottawa exit. Another vehicle was already there by that time. So after spending 2 hours in the highway we could finally reach our own homes safe and sound. Though it wasn't the best field trip we have went on for the past few years, it was definitely a great one with so much laughter and new experiences.